Product prices and availability are accurate as of 2019-04-20 05:28:08 BST and are subject to change. Any price and availability information displayed on http://www.amazon.com/ at the time of purchase will apply to the purchase of this product. Crafted like lace, the rose gold of the IMPERIALE pendant celebrates the beauty of colored stones. 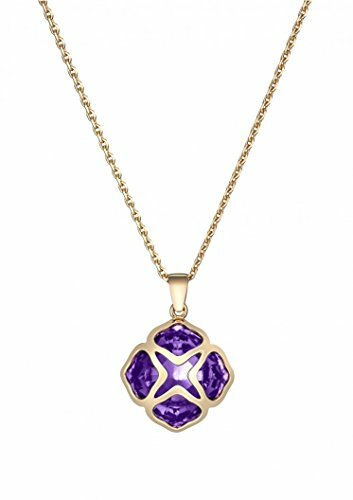 Like a finely woven lattice, the precious metal delicately encases a cushion-cut amethyst. The IMPERIALE pendant in rose gold is a treasure of femininity with refined and generous proportions.